You all have asked and asked and today is the DAY! 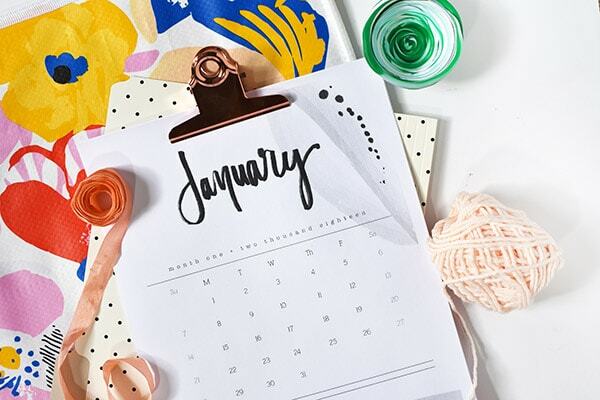 Today is 2018 Hand Lettered Calendar printable launch day, yahoo! I have added a few new twists to the calendar and it just took me a little more time to make sure it was right. 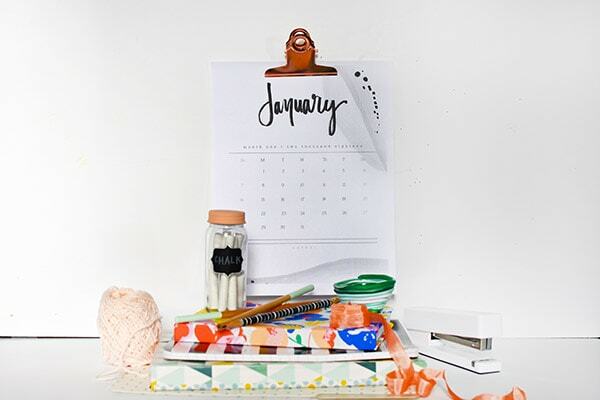 It is FREE with a gorgeous Black and White Watercolor detail to each of the individual months. I hope you love it. Be sure to see below for more information on how you can download your new calendar. Let’s start off my talking about last year. You all blew my mind by downloading 2017’s calendar 120,000 times. THANK YOU! That is by far a download high. 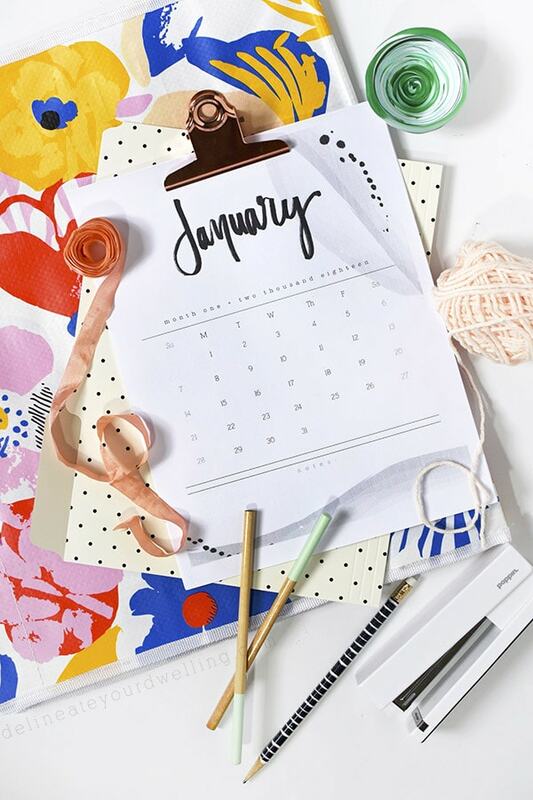 This is the fourth year I have created a free printable calendar and it think I have more fun with the design process each time. Let’s take a closer look at 2018’s Hand Lettered Calendar. I have heard you all loud and clear. You like simple clean and stylish calendars. Ones that are easy for you to print at home and at your local print shop. So, I decided to keep with the simple black and white theme that my calendars have previously held to. However, I have made a few slight changes and additions. Last year I wrote out the ENTIRE calendar by hand. I wrote the months, days of the week and actual calendar days. I think there is something so wonderful about a complete hand written look, but decided this year to go back to a more clean streamlined look. 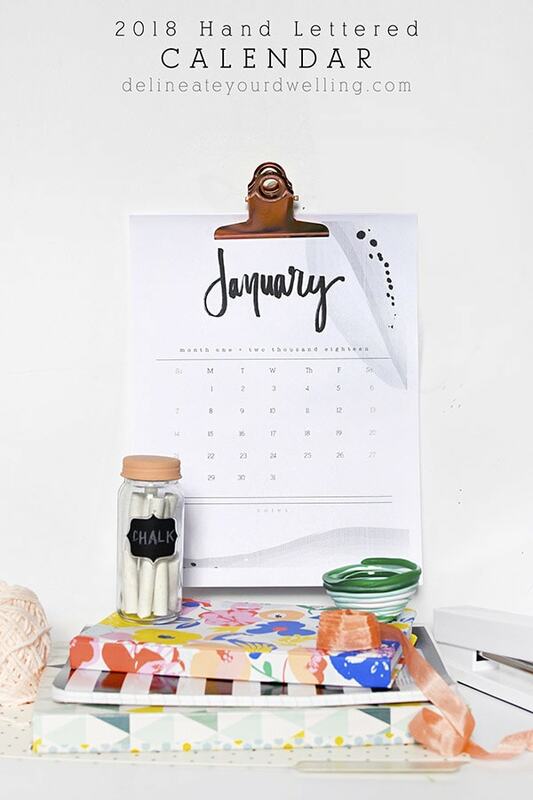 The 2018 Hand Lettered Calendar has only the month hand written and the remainder of the text all in a digital font. The other big change this year, is the addition of black and white watercolor swooshes AND black ink spots. Each of the 12 months has a different pattern. I think these two additions create a little more stylish interest while still keeping the overall calendar look clean and simple. I hope you agree with me on this! 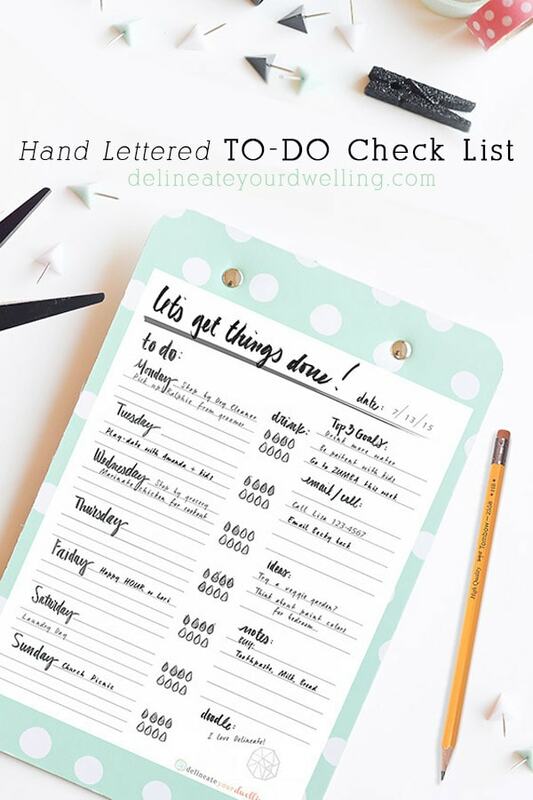 IMPORTANT: You will need to sign up for my newsletter to receive access to my ENTIRE DYD Printable Library + the 2018 Hand Lettered Calendar. See info below on how to do that! Each month is designed to fit an 8.5 x 11 size sheet and you can easily print them straight to your home printer or a local print shop, if you decide. I’ve even seen a few people print them on colored paper, too! ALSO, I loved (looooooooooved) how many of you tagged and shared your calendars with me over the course of 2017!!! Please continue to do that on Instagram, Facebook or just a simple email. 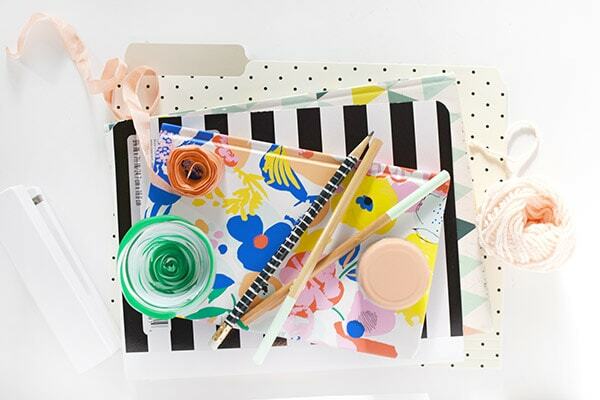 I love seeing them hanging in your home, keeping you organized and on task while adding a little pretty to your space at the same time! 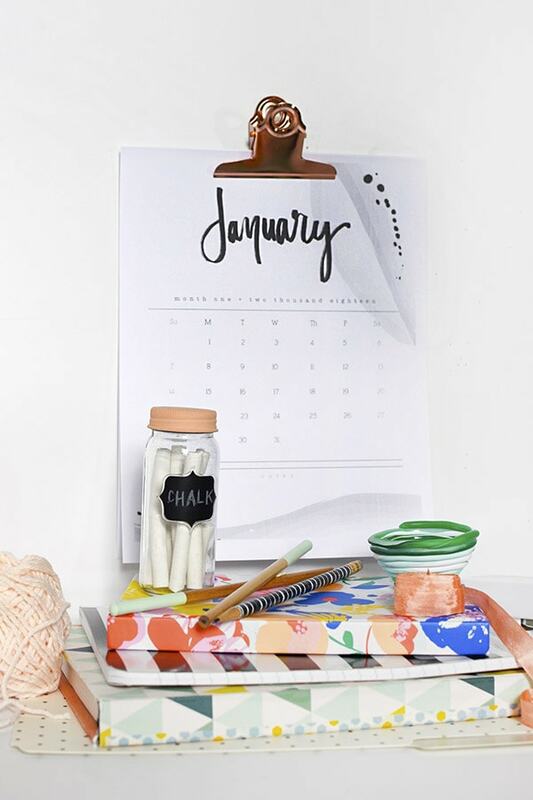 This is such a cute calendar and it printed way easier than other blog sites. it’s hanging on my fridge. Thank you! Sharon: I’m so glad you are enjoying it!! I’ve signed up for the newsletter & trying to download the calendar. How do I do that? Okay, glad you were able to find it! Have a great day. Hello! I’m trying to sign up for your newsletter and download your beautiful calendar, but it keeps telling me “This content is password protected. To view it please enter your password below:” I haven’t received any emails, or given the option to create a password. Help please! Please email me again if you still are having trouble! Have a great day. This is great! Is the 2017 calendar still available?? Aw, thanks so much! I enjoy designing them each year! Yayayayay it’s calendar day! I LOVE the new patterns, so pretty! And the way you styled it — WOW! Totally gorgeous! Yay for calendars!!! Thank you, Marlene.